Kevin Feige and Marvel Studios have been one of the biggest success stories in Hollywood over the last decade. They have made 18 movies, and all of them have been successful - some of them have been hugely successful and remain wildly popular. Feige's decision making on stories, choice of directors, and casting has been excellent to this point. But he's making a huge mistake with the Marvel Cinematic Universe. What mistake is that? Dropping Chris Evans from the MCU. Chris Evans was one of the most inspired bits of casting Hollywood has seen in the last couple of decades. His portrayal of Steve Rogers has been fantastic. His ability to not only show Rogers' nobility, but also his vulnerability and determination, has been a highlight of the MCU. No one could have done it better. Chris Evans became Steve Rogers in a way that most Marvel Comics fans could have only dreamed possible 20, 30, or even 50 years ago. And now Feige and Marvel are planning to say goodbye to Evans after 2019. 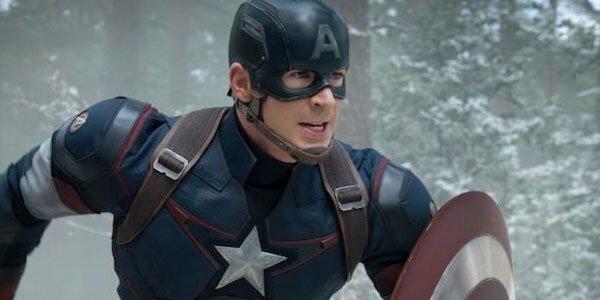 Avengers 4 will reportedly be the last movie to feature Evans as Steve Rogers, and after that Marvel's plans are top secret, more or less. While Marvel Studios will continue to pump out good to great movies, and while they will still be wildly successful, there will be a hole there - and empty spot where Evans as Captain America should be. Robert Downey Jr. is aging quickly, and his portrayal of Tony Stark is starting to wear thin (many MCU fans have said that RDJ was the weak link in Spider-Man Homecoming as well as Captain America Civil War). Replacing him or retiring Iron Man for a time makes sense. Downey really is getting too old to play Tony Stark effectively, and people are starting to tire of the way Downey plays the role. Make no mistake, Downey was the centerpiece of the MCU for several years, and the first Iron Man movie set the tone that Marvel Studios has so successfully followed. Downey was excellent in the role, but it has become a bit two dimensional - Stark is either a flippant smartass, or he's a dour lecturer. Unlike Evans, whose Steve Rogers is multi layered and is given new ground to explore in almost every movie, Downey as Stark is kind of a one trick pony (OK, a two trick pony). Evans is much younger than Downey, and he brings a lot more to the table than Downey does going forward. So why is Feige, along with the rest of the people at Marvel Studios, so hell bent on saying goodbye to Chris Evans? To focus on the new characters going forward? OK, that's fine - but I would like to remind Kevin Feige of one thing: This has been done before, and it didn't work. It was done in the comics in the late 60's. Captain America, Iron Man, and Thor were dropped from The Avengers comic so they could focus on the newer characters (Hawkeye, Black Panther, Giant Man, and Vision). The comics were still fairly good, and they still sold fairly well - but they were not AS good, and did not sell AS well without Cap as they did with him. Cap was brought back (along with Iron Man and Thor at times), and sales perked up again. The stories were more exciting and interesting. The A Team was back. The B Team was OK, but not as interesting and not as exciting as the A Team. Captain America would remain with the team for quite a while and was there far more often than he wasn't. The Avengers works MUCH better when Captain America is leading the team. The comic always has, and it always will. The same will be true of the movies. Chris Evans' absence will be felt just as much as the presence of everyone who is there. There will be a hole in the team that will be almost impossible to adequately fill. It's a shame that Feige and Marvel Studios have decided to prematurely end Chris Evans' run as Steve Rogers. He will be greatly missed.